What is a Domestic Homicide Review and how do they work? 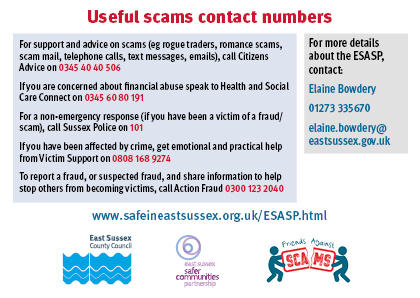 An agency (most commonly Sussex Police) can report any deaths due to, or suspected to have been caused by, domestic violence and abuse to the East Sussex Safer Communities Partnership. The Partnership then has to make a decision about whether to review the case, and if it decides to do so, it is responsible for conducting a review of what happened. The aim of a review is to identify how local professionals and organisations can improve the way they work together and identify what needs to be changed to reduce the risk of it happening again in the future. More information, and guidance published in 2016, can be accessed from the Home Office website. A short domestic homicide review process summary, including how to make a notification, is available if you follow this link. • Establish what lessons are to be learned from the domestic homicide regarding the way in which local professionals and organisations work individually and together to safeguard victims. • Identify clearly what those lessons are both within and between agencies, how and within what timescales they will be acted on, and what is expected to change as a result. • Apply those lessons to service responses including changes to policies and procedures as appropriate. • Help services work to prevent domestic violence and improve service responses for all domestic violence victims and their children through improved intra and inter-agency working. What information is published locally? Where the East Sussex Safer Communities Partnership has conducted a review, an Executive Summary and Overview Report will be published. The aim is to maintain public confidence, as well as to improve transparency about the processes in place across all agencies to protect victims of domestic violence and abuse. Summary: unlawful killing of Mrs B by her husband Mr B, who was tried and found guilty of murder. The panel concluded that there was nothing to indicate that Mr B might kill a partner as he did. There is no evidence that leads to a view that this event might have been predicted. Issues identified: the review identified that neither person was well known to services, and nor were the strains within their relationship well known. Mr B had sought psychological support in the past and in the months before this act for his low mood in relation to bereavements he had suffered. He was identified as having a moderately severe depression. Mr B was offered a psychological intervention, but this was not taken up as it appears he did not see the appointment letter and, when discussed with his GP, he had expressed some concern about accessing the service. Lessons learned: lessons learnt from this case are limited because the engagement of this couple was itself limited with statutory services, and there was no contact with any specific domestic abuse agencies. However, some specific practice issues were identified in relation to accurate record keeping, as well as how information on psychological interventions is made available to members of the public. Broader lessons learnt linked to the importance of ensuring that there is clear, accessible information available to victim/survivors, that there are clear referral pathways to ensure that help and support are available (in particular, from health) and the importance of wider societal awareness and understanding of domestic abuse. Actions we are taking: Ensuring practice around recording is fit for purpose; Developing a referral pathway for victims of a domestic abuse incident; Ensuring the information available to victims of domestic abuse at or following an incident is fit for purpose; Ensuring that there is a consistent DHR process across Sussex, in both the commission and dissemination of reviews; Developing a consistent response to victims of domestic abuse in primary care settings; Ensuring the information on psychological interventions are fit for purpose; Developing a consistent response to victims of emergency care; Ensuring that businesses are better informed and supported in relation to domestic abuse; Ensuring that the communities are better informed about domestic abuse. Summary: murder of a woman in her early 20’s, who for the purposes of the review was known by the pseudonym ‘Henrietta’. The perpetrator, known by the pseudonym ‘Peter’, was charged and later convicted with her murder. Peter was Henrietta’s ex-partner and the homicide happened three weeks after Henrietta and Peter separated. Issues identified: the review identified issues in relation to contact with the police, the role of housing providers and health services, as well as how professionals identify perpetrator behaviour. Other findings included: ensuring there are simplified referral pathways to specialist services; access to specialist services in health settings; as well as learning for Children’s Social Care (relating to administrative process and systems, follow up and early help services) and also for Victim Support (relating to provision of the most appropriate services, as well as practice at the time which meant police were not informed if a victim did not engage). Lessons learned: a range of lessons were learnt in this case, including the take opportunities to have conversations with a victim of domestic abuse, in order to understand their relationship with a former or current partner or any concerns they might have. Other lessons include: the use of Domestic Abuse Stalking and Harassment Risk Identification Checklist (DASH RIC) and professional curiosity, in particular in relation to the role of housing providers and health professionals. Actions we are taking: Reviewing referral pathways for victims of domestic abuse incidents and crimes, including access to commissioned specialist services; promoting awareness of responses to those who use violence and abuse and access to community based support; promoting access to health based specialist services; promoting awareness of the help and support available to professionals, victim/survivors and their families; promoting best practice standards in the housing sector in response to domestic abuse and ensuring housing providers are engaged within the local processes for assurance around safeguarding adults and children. Summary: murder of a woman in her late 40’s, who for the purposes of the review was known by the pseudonym ‘Pamela’. The perpetrator, known by the pseudonym ‘Lance’, was charged and later convicted with her murder. Lance was Pamela's ex-partner and the homicide happened the same month that Pamela and Lance separated. Issues identified: the review identified issues in relation to the recognition of domestic violence and abuse, as well as stalking and harassment. The review also identified issues around the role of health services, as well as how to ensure that family members have access to information on local support. Other findings included: ensuring there are simplified referral pathways to specialist services and access to specialist services in health settings. Lessons learned: a range of lessons were learnt in this case, including recognising abusive behaviour (particularly coercive control), as well as stalking and harassment. Other lessons include: when professionals should use the Domestic Abuse Stalking and Harassment Risk Identification Checklist (DASH RIC) and professional curiosity in particular in relation to the role of health professionals. A further lesson was the importance of ensuring family members know that they can make a Domestic Violence Disclosure Scheme application to find out if someone’s partner has a history of violence or abuse. Actions we are taking: Awareness raising around coercive control, stalking and the Domestic Violence Disclosure Scheme; promoting access to health-based specialist services; developing responses to stalking and harassment; reviewing referral pathways for victims of domestic abuse incidents and crimes, including access to commissioned specialist services.